Custom Trim Carpentry In Tampa, St. Pete and Clearwater. Custom trim work adds value and elegance to your home. If you’re building a new home or renovating your current one, the quality of your trim carpentry will make all the difference. 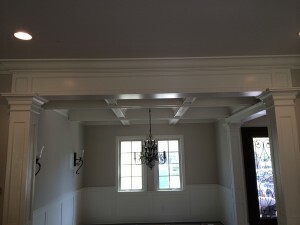 Gloger Construction specializes in custom trim carpentry providing quality craftsmanship unsurpassed. Trim work is both functional and decorative in your home. Although it gives a room distinctive style and detail, it also serves a purpose. Trim work hides the joints between walls and floors, ceilings, doors, and windows that have been left exposed by rough carpentry and building techniques. Many different patterns and styles of trim work are made from a variety of softwoods and hardwoods to best match the design of your home. No matter what the project may be, Gloger Construction takes pride in the work that we have performed for many discerning homeowners throughout the Tampa Bay area and beyond. Our work blends seamlessly with the architectural style and details of your new or existing home, while adding modern convenience, energy efficiency, comfort and most importantly, value. We will work closely with you to ensure we exceed your expectations and stay within your budget. We offer a wide range of cost effective solutions to meet your budget without sacrificing the quality of our work. From the first meeting until the last brush stroke of paint, we guarantee that your project will be completed to your specifications, on time and with the highest level of quality. Contact Gloger Construction today.